While it's easy to imagine yourself relaxed and tranquil; relishing in the glorious sunshine, clear waters and white sandy beaches… in the evenings is when the Island comes alive with a bustling Caribbean nightlife. Regardless of whether you prefer to hit the clubs, hop from bar to bar or seek alternative entertainment, Antigua nightlife has it all. Antigua offers unique venues and all-night dancing all across the Island; whatever your tastes you will find something to guarantee a great night. The Abracadabra Club located at Nelson’s Dockyard in English Harbour begins with a more relaxed lounge-style evening, which quickly spirals into an exciting nightlife experience. Complete with live bands or DJs, Abracadabra keeps guests on their feet with a mixture of music including a splash of reggae. The nightclub also often hosts various events such as art exhibitions, fashion showcases and themed parties; to be sure you’re ready for what the evening holds, check the club’s online calendar. Sophistication and fine dining are always on the menu at The Coast, which is situated on St. John’s. This club begins each evening with swanky island food, then transitions into a lively evening complete with a mixture of fabulous entertainment. Whether it’s the themed parties, dockside scenery or fire-breathing bartenders, you’ll have a night they won’t soon forget. This venue often features live bands, and always plays the latest in techno music. If you’re in Runaway Bay area, you should consider a night at Rush. This local hotspot attracts the younger crowds thanks to its great facilities and breath-taking views. You’ll get loud music, as well as unique features like its on-site eatery, Leah’s Restaurant, and the Conor’s Billiards Lounge. If you visit Rush, be sure to pay a visit to the romantic terrace areas where you can enjoy unbelievable ocean views. As well as those mentioned above, there are a whole host of fantastic venues offering a great night out. Have a look at highly sought-after 18 Carat in St. Johns, the hip crowds of The Coast to name a few others. 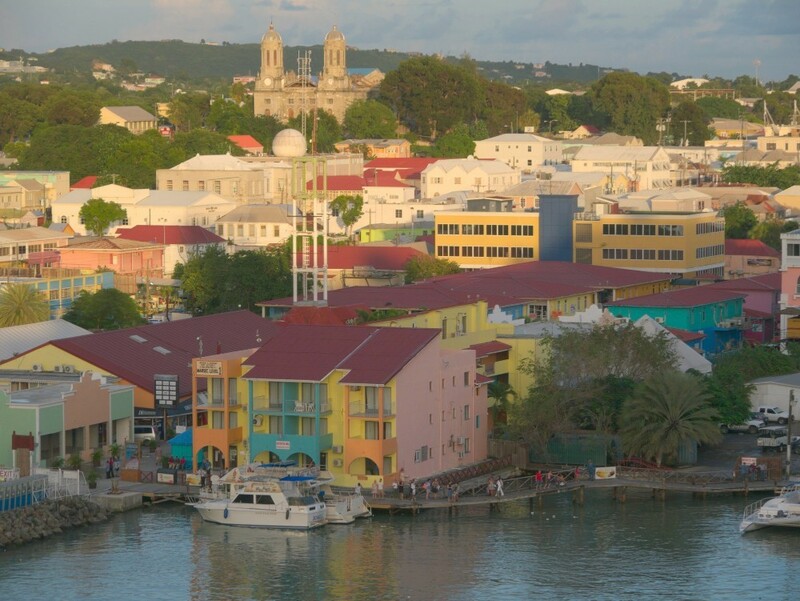 It's hard to imagine a holiday without a visit to a bar or two, and if the noisy nightclubs aren’t your scene, Antigua offers many bars which will take you out and about on the town. 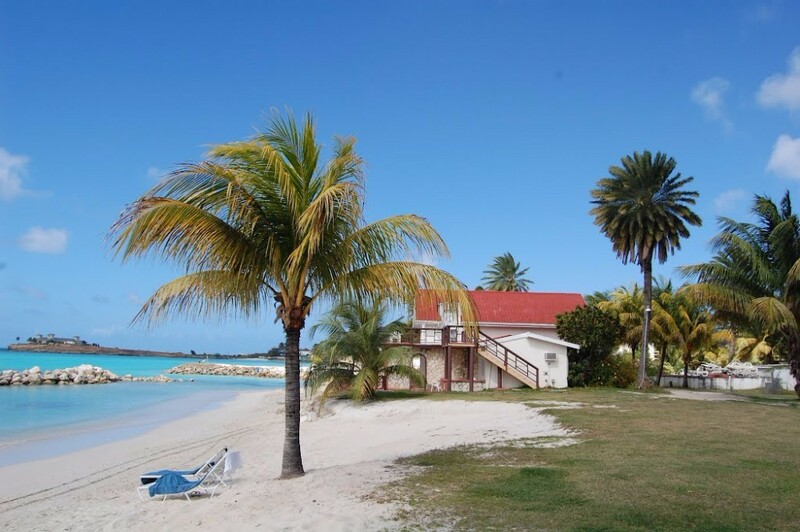 The Beach bar is Located in Dickenson Bay and is a modern facility that combines a beach bar idea with a lounge and bistro style. The result is a sophisticated venue with a playful flair ideal for sipping your favourite cocktail or beer. The walls are decorated with beautiful photography showcasing local scenery, making this a great place to relax after a long day spent soaking up the sun. 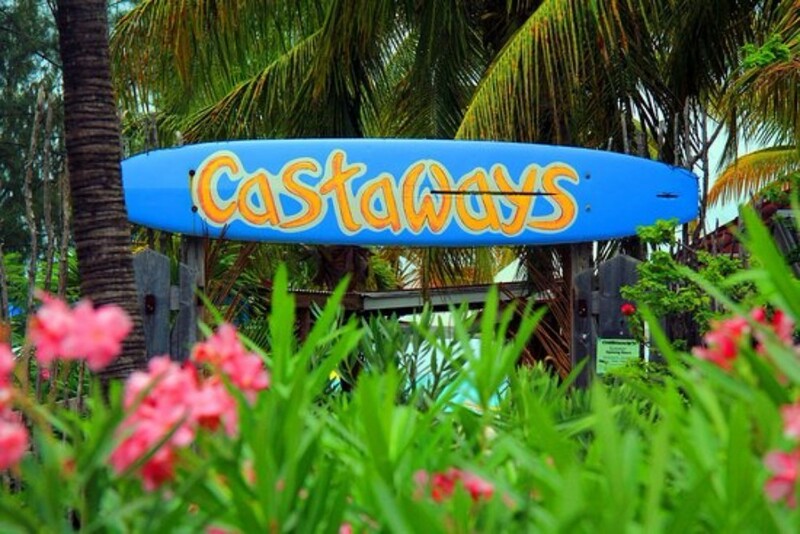 The Castaways bar in Jolly Harbour is another excellent option. This combination of beach bar style and bistro offers a casual nightlife experience and a lively crowd. Tuck into a refreshing beer under the thatched roof, and take a look at murals painted by local artists. This venue offers a menu of tapas and pub-style food at an inexpensive price. For a ‘meet-in-the-middle’ between a bar and a club, head down to Indigo on the Beach, still a casual bar, the music gets louder as the evening progresses. Located in Carlisle Bay, this venue serves local tapas, fresh salads and juicy burgers during the daytime and transforms as night falls. Patrons can order their favourite drinks at the fibre-optic illuminated bar, or stretch out and relax on the lounges with comfy pillows while enjoying a buzzing atmosphere and a variety of music. The seafaring crowds in Antigua are a pretty large crowd. The Mainbrace Pub located in the Copper & Lumber Store Hotel of English Harbour is a great place to take in the history of the area while enjoying a boaters haven. Stop for a cold round of beer, a friendly game of darts and their famous fish and chips. For a slightly more chic alternative, consider the Mad Mongoose bar in Falmouth Harbour which is extremely popular amongst yachters and the local single crowd. Here you’ll find tapas, beers and martinis combined with festive local decor, a game room and international TV promises to keep you entertained throughout your evening. Other popular bar spots around Antigua include Big Banana, the bar and restaurant combination of Bumpkins at Pigeon Point Beach, the wine selection at C&C Wine Bar, the pub-style Dogwatch Tavern, Hemingway’s Caribbean Café in St. Johns and many more. The best way to explore is to head out and see what takes your fancy. Clubbing and hopping from bar to bar are the most common ways to enjoy your Antiguan evening, there are a host of alternative activities that will give you plenty to do. From gambling to barbeques, those looking to avoid the typical nightlife scene can choose from a variety of ways to partake in the festive island lifestyle. If you’re feeling lucky, try King’s Casino, located in Heritage Quay in St. Johns. If you want a nice, yet casual evening, head to Shirley Heights Lookout. Weekly beachside barbeques draw both locals and tourists to this tasty event. The fun begins before the sun sets with delicious local food and mingling. As the sun dips below the horizon, live steel and reggae bands fill the air with local island music and you can dance the night away. 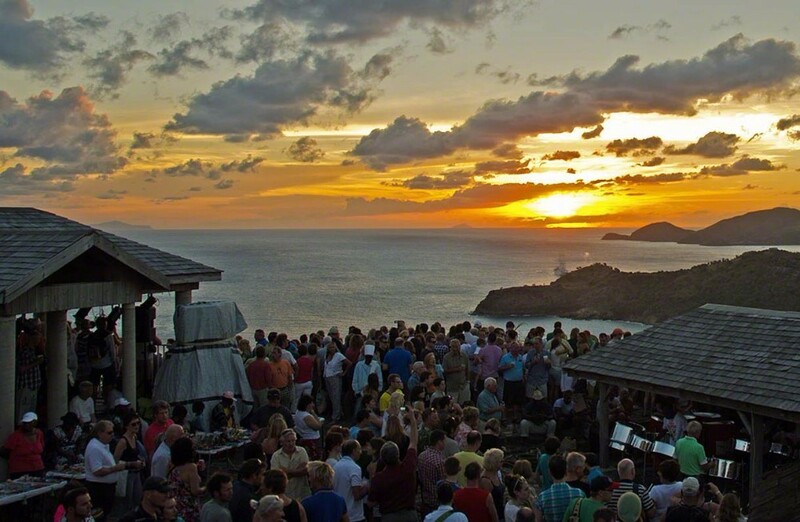 This venue is known for its celeb-spotting from around the world and it’s no wonder that Shirley Heights Lookout has become one of the biggest parties in Antigua. Local cafés and theatres provide a low key way to enjoy the cool Caribbean nights. If you need internet access and would like it alongside superb local coffee and stunning oceanfront views, check out the Skullduggery Café in Falmouth Harbour which is located within the Antigua Yacht Club Marina and provides patrons with a charming place to catch up on international newspapers and enjoy light snacks. Other options for a great local coffee include Seabreeze’s ice cream and coffee, the American-style Rituals Coffee House, the tropical Passion Fruit Café, the deli-cafe and sushi bar the Larder and the vegetarian-friendly Mama Lolly’s Café & Takeaway. For a mix of Mediterranean cuisine and cosmopolitan entertainment with a touch of resort luxury, head to Ana's On the Beach, on Dickinson Bay, where you can sip a cocktail to the relaxing beats of world music, whilst enjoying a beautiful view of the Caribbean sea. Because a lot of us get that weird pizza craving during our holiday abroad, it's great to know Antigua's got us covered with Big Bananas Pizzas in Paradise. The name says it all: with a wide choice of international favourites as well as local specialities, this place is regarded as one of the Caribbean's best pizza joints. A favourite amongst locals, tourists and celebrities, you will find this legendary Antiguan casual dining hot spot in Redcliffe Quay, downtown St John's. With so many ways to enjoy the Caribbean nightlife in Antigua, the toughest decision you’ll have to make is which venue to visit, and how many you can squeeze into your trip. 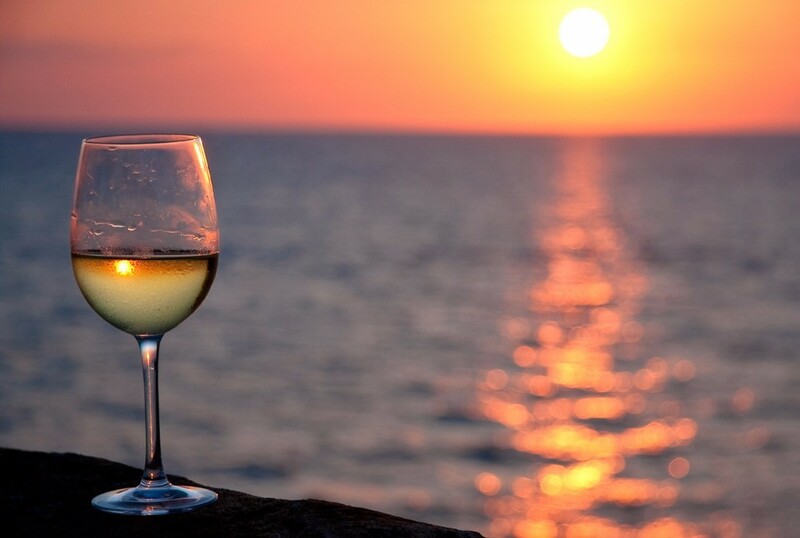 To get the full experience, we suggest mixing it up throughout your holiday! Start your evening with a freshly brewed coffee to reawaken your spirits, then, stop by a bar for a cold beer or perfect cocktail before heading to a nearby nightclub to dance the night away.